For more than two years, Vainceur and his five boys lived in an 8’x10’ tin shack with a tarp roof after Hurricane Matthew destroyed their home. Today, this Haitian family of six has a new place to call home, marking GoServ Global’s 300th Sukup Safe T Home® built in Haiti. 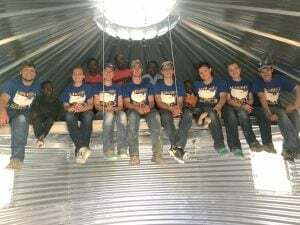 This home is extra special because it was built by the Audubon, Iowa FFA team in memory of Sukup Manufacturing Co. founder Eugene Sukup, who died this past summer at the age of 89. Sukup employees donated most of the funds for the Safe T Home®. 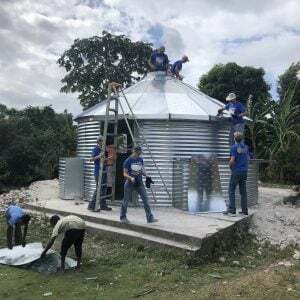 After the January 2010 earthquake devastated Haiti, Brett Nelson of Sukup Manufacturing came up with the design of the Safe T Home®, measuring 18-feet in diameter and made entirely of metal, making it resistant to termites and moisture. In 2016, Hurricane Matthew devastated Haiti with winds in excess of 145 mph, putting the homes to the test. Yet, all 200 homes prevailed with just minor damage, while the vast majority of traditional homes in the area were destroyed. Homes like Vainceur’s. The father lost his home, his garden, and a year later his wife passed away, leaving him to raise all five boys alone. Vainceur shared how tough it was following the hurricane, yet today was a good day. Not only was Vainceur touched by the Safe T Home®, so was the team that built it. 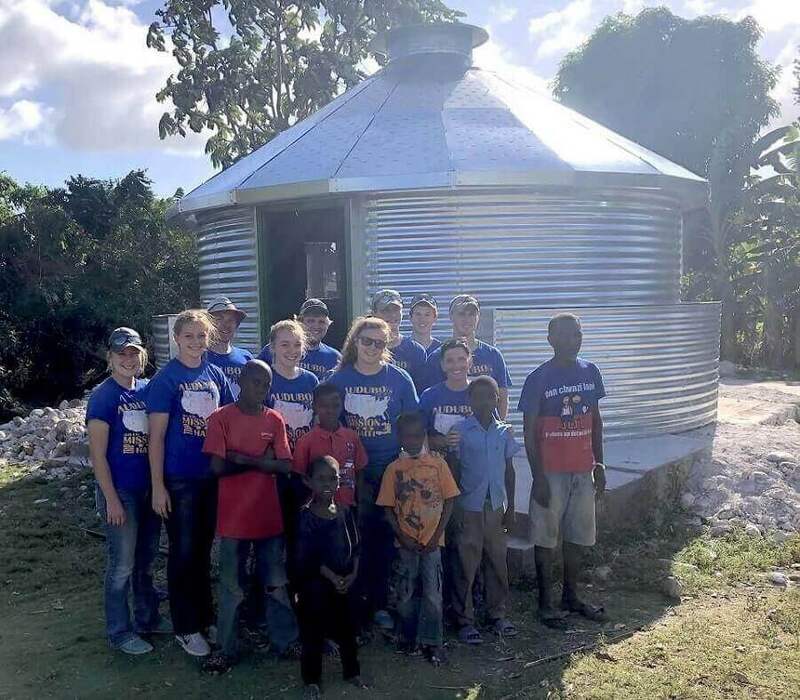 Eight members of the Audubon FFA along with their advisor, Brittany Elmquist and her husband, Joe, helped build the home along with the family. 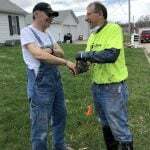 “I will not forget the look of pride on [Vainceur’s] face as we handed him his keys for his new Safe T Home,” shared FFA student Grace Christensen. Since 2012, nearly 75 FFA students from across the U.S. have served on a GoServ Global mission trip. After returning from Haiti, the team was so impacted by the trip that the Audubon FFA voted to sponsor Paul, one of the boys they met at the Joshua House Orphanage. Last year, 325 volunteers served on a GoServ Global mission trip. 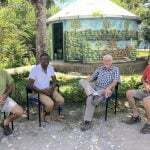 GoServ Global shares God’s love by responding to disaster, empowering sustainable community development and creating world change through hands-on involvement in Guatemala, Haiti, India, Peru, Uganda, and the United States. Shortly after GoServ Global began in 2011, the nonprofit connected with Sukup Manufacturing to discuss how the Safe T Home® could help those in need. Not only have 300 homes been built in Haiti, 30 more are being built in Uganda to house refugee orphan children who have fled war-torn South Sudan. Ten homes have also been built in Peru and 10 in Kenya. The need for homes is great in Haiti as there are countless more families like Vainceur’s. One Safe T Home® costs $7,000 including shipping. To give toward a Safe T Home®, visit https://goservglobal.org/give/. 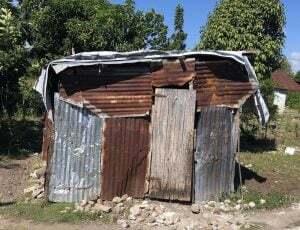 Vainceur and his five boys lived in this makeshift home for more than two years after Hurricane Matthew destroyed their house. The Audubon FFA Team building the Safe T Home®. The Audubon FFA Team inside the Safe T Home® with the kids of the family.